Here is a list of top tourist attractions in Ukraine. Only the topmost tourist destinations are presented here. 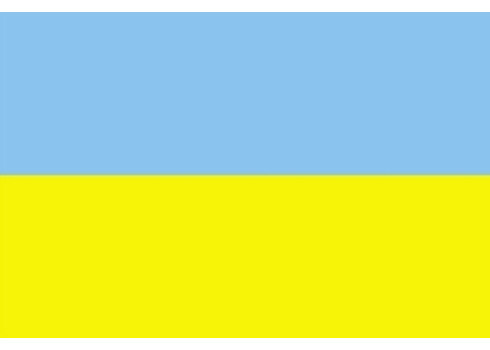 To see other destinations, please check the images from Ukraine section. Curious if any of these place from Ukraine made it our best tourist attractions in the world list? Read the aformentioned article in order to find out. You can also view all tourist attractions in Ukraine and other countries on our tourist attractions map. Kiev Pechersk Lavra or Kyiv Pechersk Lavra, also known as the Kiev Monastery of the Caves, is a historic Orthodox Christian monastery which gave its name to one of the city districts where it is located in Kiev. Since its foundation as the cave monastery in 1051 the Lavra has been a preeminent center of the Eastern Orthodox Christianity in Eastern Europe. Together with the Saint Sophia Cathedral, it is inscribed as a UNESCO World Heritage Site. The monastery complex is considered a separate national historic-cultural preserve, the national status to which was granted on 13 March 1996. The Lavra also not only located in another part of the city, but is part of a different national sanctuary than Saint Sophia Cathedral. While being a cultural attraction, the monastery is currently active. It was named one of the Seven Wonders of Ukraine on 21 August 2007, based on voting by experts and the internet community. Currently, the jurisdiction over the site is divided between the state museum, National Kiev-Pechersk Historic-Cultural Preserve, and the Ukrainian Orthodox Church as the site of the chief monastery of that Church and the residence of its leader, Metropolitan Volodymyr. Hoverla mountain at 2,061 metres, is the highest mountain in Ukraine and part of the Carpathian Mountains. The mountain is located in the Eastern Beskides, in the Chornohora region. The slopes are covered with beech and spruce forests, above which there is a belt of sub-alpine meadows called polonyna in Ukrainian. At the eastern slope there is the main spring of the Prut river. The name is of Old Hungarian origin and means a snow mountain. The date of the first ascent is unknown. In late 19th century the mountain became a notable tourist attraction, especially among tourists from nearby cities of Galicia. In 1880 the first tourist route between the peak of Hoverla and Krasny Luh was marked by Leopold Wajgel of the Galician Tatra Society. The following year the first tourist shelter was founded there. In the 20th century the mountain has been increasingly gaining popularity as an extreme sports site. Some routes are classified as 1A in the winter period, according to the USSR grading system. Nowadays because of its prominence too many unskilled extreme-lovers are taking attempts to climb it in winter, resulting in regular frostbites or even deaths. Livadia Palace was a summer retreat of the last Russian tsar, Nicholas II, and his family in Livadiya, Crimea in southern Ukraine. The Yalta Conference was held there in 1945, when the palace housed the apartments of Franklin Delano Roosevelt and other members of the American delegation. Today the palace houses a museum, but it is sometimes used by the Ukrainian authorities for international summits. Bukovel — is the largest ski resort in Ukraine situated in the Ivano-Frankivsk Oblast of western Ukraine. The resort is located almost on the ridge-lines of the Carpathian Mountains at elevation of 900 m above the sea level near the village of Polyanytsya. It is one of the most popular ski resort in the Ukrainian Carpathian Mountains and is situated 30 km southwest of the city of Yaremche. In 2012 the Bukovel was named the most fast growing world ski resort. Khortytsia is a national cultural reserve located on one of the largest islands of the Dnieper river, in Ukraine. The island has played an important role in the history of Ukraine, specially in the history of the Zaporozhian Cossacks. This historic site is located within the city limits of Zaporizhia city. It extends from northwest to southeast for more than 12 km with an average width around 2.5 km. The island has unique flora and fauna, including oak groves, spruce woods, meadows, and steppe. The northern part of the island is very rocky and high in comparison to the southern part, which is low, and often flooded by the waters of the Dnieper. The Kiev Zoo is one of the largest zoos in the former Soviet Union and the only zoo in Kiev, Ukraine. Situated on about 40 hectares, the zoo is cared for by 378 staff members and receives about 280,000 visitors annually. Andriyivskyy Descent is a historic descent connecting Kiev's Upper Town neighborhood and the historically commercial Podil neighborhood. The street, often advertised by tour guides and operators as the "Montmartre of Kiev", is a major tourist attraction of the city. The descent, 720 metres in length, is constructed of laid cobblestones. It winds down steeply around the Zamkova Hora hill, ending near the Kontraktova Square in the Podil. The Andriyivskyy Descent is marked by a couple historic landmarks, including the Castle of Richard the Lionheart, the 18th century baroque Saint Andrew's Church, famed Russian writer Mikhail Bulgakov's house, and numerous other monuments. Recent talk of the descent's reconstruction has been going since 2006, when a local grassroots organization aimed at saving the Andriyivskyy Descent collected more than 1,000 signatures to petition local authorities to take action on the descent's reconstruction. On June 23, 2009, the Kiev City Council administration approved the reconstruction of the Andriyivskyi Descent, which was officially announced a year earlier by Mayor Leonid Chernovetsky. The exact timeline for reconstruction has not yet been adopted, although the reconstruction's budget has been drafted in the city's 2010 budget. Maidan Nezalezhnosti is the central square of Kiev, the capital city of Ukraine. One of the main city squares, it is located on the Khreshchatyk Street. The square has been known under many different names, but often, it is called simply as Maidan. The Golden Gates of Kiev is a major landmark of the Ancient Kiev and historic gateway in the ancient city fortress, located in the capital of Ukraine. Currently it serves as a museum and can be found on the corner of Volodymyr street and Yaroslaviv Val Street. The name Zoloti Vorota is also used for a nearby theatre and a station of the Kiev Metro. The National Museum of the History of the Great Patriotic War is a memorial complex commemorating the German-Soviet War located in the southern outskirts of the Pechersk district of Kiev, the capital of Ukraine, on the picturesque hills on the right-bank of the Dnieper River. The museum has moved two times before ending up in the current location where it was ceremonially opened on May 9, 1981, by the Soviet leader Leonid Brezhnev. On June 21, 1996, the museum was accorded its current status of the National Museum by the special decree signed by Leonid Kuchma, then the President of Ukraine. It is one of the largest museums in Ukraine centered around the now famous 62-meter tall Motherland statue, which has become one of the best recognized landmarks of Kiev. The museum has been attended by over 21 million visitors. The Olesko Castle is located within the borders of the present-day Busk Raion in Ukraine. The first historical records of the castle are in a document dated 1390, when Pope Boniface IX gave Halych, a Catholic bishop, this castle as a gift. It is located about seventy-five kilometers from Lviv, the largest city in western Ukraine. The National Art Museum of Ukraine is a museum dedicated to Ukrainian art in Kiev, Ukraine. The Palanok Castle or Mukachevo Castle is a historic castle in the city of Mukachevo in the western Ukrainian oblast of Zakarpattia. The Palanok Castle is delicately preserved, and is located on a former 68 metre high volcanic hill. The castle complex consists of three parts: the high, middle, and low castle. The founding cornerstone for the castle was laid sometime in the 14th century by the members of the Hungarian noble family Aba and was an important fortification of the Kingdom of Hungary throughout the centuries. The castle was later transformed into an impregnable fortress by French engineers. After the storming of the Bastille, a famous French prison, the Palanok Castle was used as an all-European political prison. Through the centuries, the castle served as a residence to many people: the Koriatovych family for almost 200 years, the Serbian prince Đurađ Branković, Regent of Hungary János Hunyadi, and the wife of a Hungarian king, Laiosh Maria, among many others. During the ownership of Prince Fedir Koriatovych, the castle became one of the most protected castles in the region. The prince and his family lived in the highest part of the castle, which had lavishly decorated interiors. Francis II Rákóczi later used the castle as the centre of a war of independence led by himself. From 1796 to 1897, the castle was used as a prison. During 1805–1806, the Crown of St. Stephen was kept within the castle to protect it from Napoleon I's troops. In 1926, the castle was used as a barracks, and later as an agricultural college. Pyrohiv, also known as Pirogov, originally a village south of Kiev, is a neighborhood in the southern outskirts of the Ukrainian capital city. It is now home to an outdoor Museum of Folk Architecture and Life of Ukraine. Although the origin of the toponym is uncertain, pyrohiv is genitive plural form of the Ukrainian word for pie. Hydropark is a landscape-recreational park on the Dnieper River in Kiev, Ukraine. It was created as an entertainment complex with mainly water activities: beaches, boating, water attractions. It is located on Venetian and Dolobetsk islands; the Venetian Bridge connects these islands. Venetian island is connected with the rest of Kiev by two bridges: the Metro Bridge to the right-bank city and the Rusanivka bridge to the left-bank city. The Hidropark station of Kiev Metro is located on Venetian island. Current activities available: number of beaches, boat and catamarans rental, ping-pong and tennis, paintball and football, water attractions, restaurants, casino and Sun-City Slavutych disco club, open-air gym and riverboat excursions. The Bibliothèque nationale et universitaire, is a public library in Strasbourg, France. It is located on Place de la République, the former Kaiserplatz, and faces the Palais du Rhin. The State Aviation Museum is an aviation museum located next to Zhulyany Airport in Kiev, Ukraine. The museum offers both aircraft exhibits and also interactive displays. The museum is one of the larger aviation museums displaying Soviet technology. The museum opened its doors to the public on 30 September 2003, with Yuriy Ziatdinov as initial curator. Both the premises and the planes are provided by the National Aviation University which continues to use some of the exhibits as educational props on site. Kyiv in Miniature is a park of miniatures, situated in Kiev in the area of Hidropark. There are exposed models of Kiev architectural sightseeings, in the scale of 1:33. The park's area is 1.8 hectares. It was opened on 23 June 2006, the closest metro station to it is Hidropark. Kiev Planetarium in Kiev, Ukraine is one of the largest planetaria in the CIS. Opened on January 1, 1952 by the initiative of the scientist-astronomer Serhiy Vsekhsviatskiy, the planetarium has a dome of 23.5 meters in diameter, and seats 320 people. Mikhail Bulgakov Museum is a museum in Kiev, Ukraine, dedicated to Kiev-born Russian writer Mikhail Bulgakov. Commenced in February 1989, and opened on May 15, 1991, for the 100th anniversary of the writer's birth, the museum is located at №13 on the Andriyivskyy Descent and contains an exposition of nearly 2500 pieces that include Bulgakov's belongings, books, postcards, and photos - conveying the life and creativity of the writer and his surroundings. The atmosphere of the house reflects the writer's life - as a secondary school pupil, student of medicine, family doctor, and writer—when Bulgakov wrote The White Guard, The Master and Margarita, and Theatre Love Story. The building itself, erected in 1888 and designed by architect N. Gardenin, was thoroughly renovated before the opening of the museum. A memorial plaque with Bulgakov's portrait now hangs on the front of the building. The White Guard novel makes vivid references to the Andriyivskyy Descent, and the current plaque of the address at №13 displays the street name the writer used in his book. Inna Konchakovskaia, daughter of the owner and niece of composer Witold Maliszewski, preserved this unique house for Kiev in the hard Soviet times. The Kiev Passage is a building complex with a small, narrow street stretched through it. The street address of the building is Khreshchatyk, 15, city of Kiev. Located between two parallel streets Khreshchatyk and vulytsia Zankovetskoyi, the passage runs parallel to vulytsia Arkhitektora Horodetskoho. The street has many small outdoor cafés and shopping stores on the buildings' first floors and residential apartments on the upper floors. The High Castle Park is a park in Lviv, Ukraine. The Sainte-Madeleine Church is a Catholic church in Strasbourg, France, which was built in Gothic style in the late 15th century, but largely rebuilt in a style close to Jugendstil after a devastating fire in 1904. Destroyed again during World War II, the church was re-constructed in its modern form. This is the fourth building dedicated to Mary Magdalene built in the city since the 13th century. The church is classified as a historic monument by a decree of 6 December 1898. Market Square in Ivano-Frankivsk is called Ploshcha Rynok and is historically the central square of the city. It is the oldest square and traces its history to the city's establishment. The main feature of the square is the former city hall, Ratusha, which today serves as the building of the Museum of regional studies. Protasiv Yar is a ski complex close to the downtown of Kiev, Ukraine. It is a self administered and was given a special status as the center for Olympic preparations. There are several pistes and some with light for night skiing. There is snowmaking available if little or no snow is present. For snowboarding Protasiv Yar has a special snowboarding park. Also equipment rental and a small cafe are open for winter sports lovers.